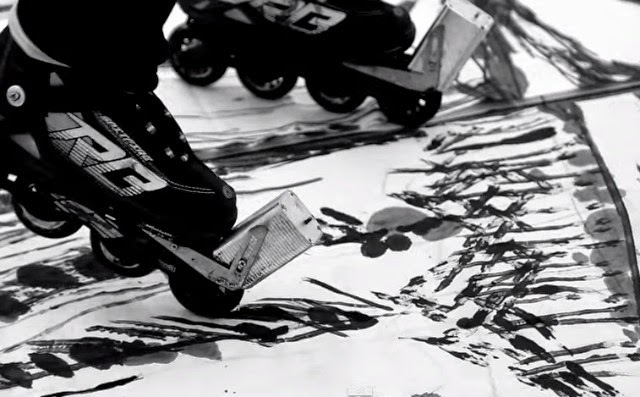 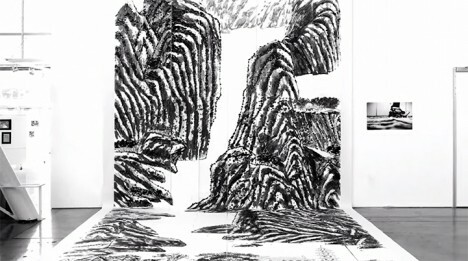 Modified inline skates holding pots of black pigment allow this artist to create her huge works (up to 40 feet or more) while rolling around the room, with results that look remarkably like smaller-scale works of hand-drawn calligraphy. 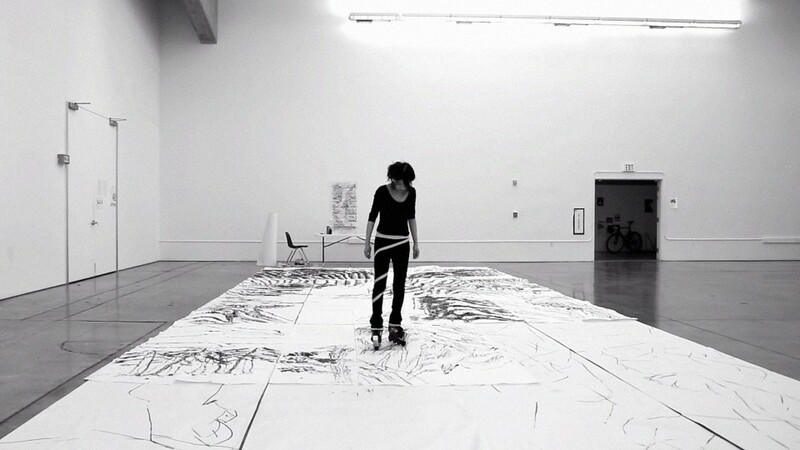 Her works feature landscapes, plants and architecture, all created by pressing down on giant unrolled sheets of paper deployed after she has sketched out and thought through these larger compositions on small sheets. 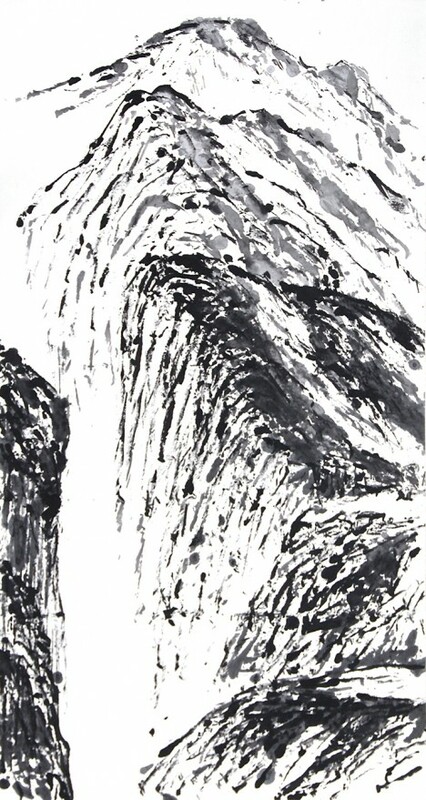 As with any artistic approach, it took the artist time to learn the medium, executing with her feet rather than her hands in a way that both liberates the creative process but also involves complexities and stylistic impacts that are not always easy to predict or control.